Stock Net Stock Net Fencing is supplied and erected in many variations to suit different purposes, such as fencing adequate for sheep, cattle to deer and includes those fences designed to deter badgers and otters. Peter Dodd Fencing Contractors work mainly with Tornado Wires as this manufacturer has a wide range of excellent, high quality specialist fences. 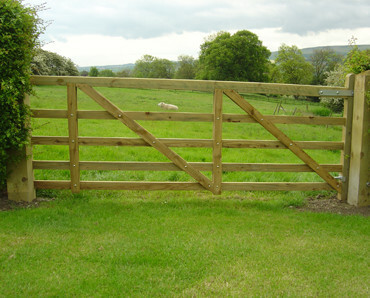 For example ‘Lamb safe’ and a ‘Pheasant friendly’ fence giving game birds free access while retaining sheep and cattle. 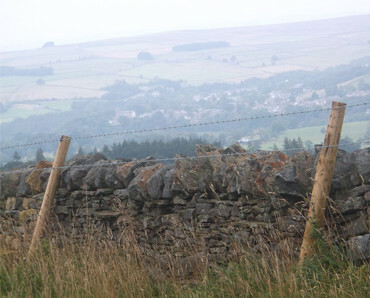 Dyke Topping is used to protect dry stone walls from damage and also to ensure that farm animals such as sheep and cattle are kept enclosed. It is also commonly used on boundary walls to protect animals from roads and neighbouring land. Peter Dodd Fencing Contractors supply our own premium timber that has been left to dry for between four to five months before a high pressure treatment is applied. This is to maximize its full strength and durability as well as the density at which it absorbs treatment. 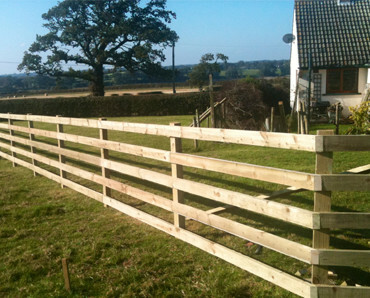 Post and Rail fencing is most commonly used to keep animals within their specified field. 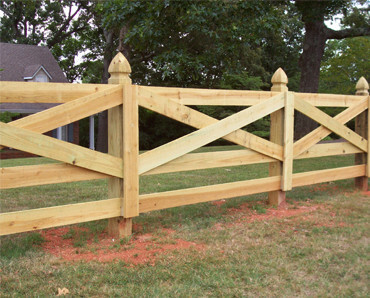 It is also the most common type of fencing that we undertake. 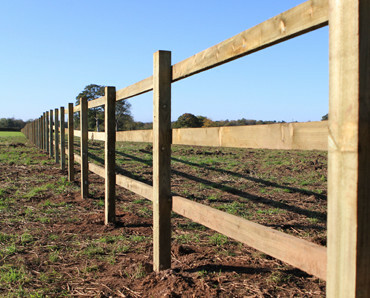 Our years of expertise means that we are in a position to give the best knowledge and advice surrounding what type of fencing would suit you and your livestock best. Peter Dodd Fencing Contractors, make five bar gates in the traditional styles whether you're looking for a farm gate, field gate, or even a ranch gate. These are also made in our high quality kiln dried softwood or hardwood. Need a custom size? Not a problem, we can make to almost any size. These can also be made as equal or non-equal pairs. Peter Dodd of Hexham Northumberland provides a Fencing Contractor service that can tackle boggy ground and limit ground damage with our track machines when installing fences in delicate areas. 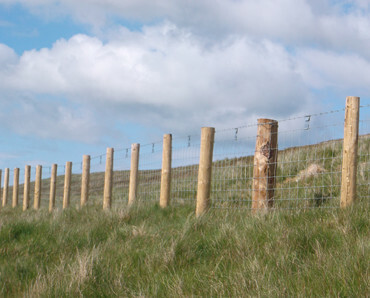 No fencing job is too small or too large; we have knowledge and experience of installing small garden fences to the higher workload end of thousands of meters of fell fencing, requiring a helicopter for access! Please check out our gallery for a glimpse at our workmanship and recent installations. If you require a fencing contractor near Hexham, Newcastle or in the North East or would like further assistance please don’t hesitate to contact us.